This is wonderful and who knew a cat would look adorable in a mop cap! Have a wonderful weekend. What a wonderful memory you have of your Grandma NC, you must have been very close to her. 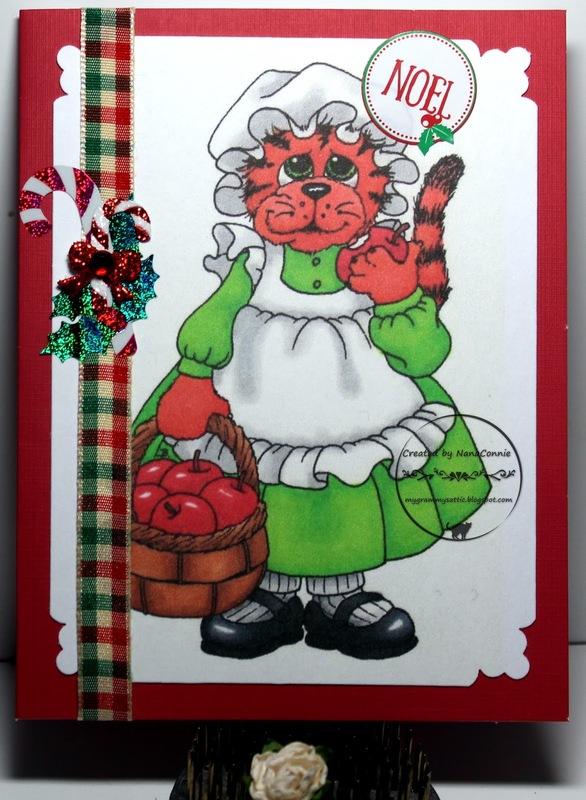 Your card is beautiful and I think the Mop Hat Cat works perfectly for a Christmas card, it even looks as though she's dressed for the occasion. Well done. Very sweet card, thank you so much for joining us at Allsorts challenge this week in my "Inspired by a Christmas Carol/Song" challenge! So cute. So glad you joined us at Morgan's ArtWorld.